What’s that thirst-quenching cool drink sliding down the back of your throat that satiates the call for hydration like nothing else? That’s right—water. Our human bodies are made up of 50-75% water in the following distribution: infants 75%, children 65%, men 60%, and women 55%. Without water, quite frankly, the body cannot function, making water both life giving and life sustaining. Think about the last time you were so thirsty that you could hardly stand it. The thirst sensation is our body’s signal that it’s becoming dehydrated. And, aren’t we fortunate to have water that flows from a tap right at our fingertips? For decades we’ve been turning on our faucets to fill our glasses. We tend to take drinking water for granted, that is until a crisis springs up like lead contamination in Flint, Michigan. Then, we raise our eyebrows and wonder what might be lurking in our own water supply. While there is a federal Safe Drinking Water Act in place that requires all public water suppliers in the United States to uphold certain levels of water quality, violations remain widespread and some water systems have contaminants that aren’t regulated by the U.S. Environmental Protection Agency (EPA). According to the National Resources Defense Council, nearly 77 million Americans obtained drinking water from systems that violated federal protections, ranging from failure to comply with federal standards, failure to test water properly or they didn’t report test results to health authorities or customers. In short, it is vital to be vigilant about what’s running through your pipes, faucets, and water supply. The water streaming out your tap might be more than just water. It quite possibly contains one or more of the following chemicals or by-products, and your tap water source may contain other chemicals not listed here. Chlorine – is the chemical used to sanitize or disinfect public water supplies. Disinfection by-products (DBPs) – are by-products created from using chlorine. Trihalomethanes (THMs), one of the most common, is proven to cause cancer. Chloramines – are an alternative means to sanitizing water that doesn’t have the same DBPs as chlorine but still carries risk to health. Nitrites – used as fertilizer becomes a contaminant due to runoff that flows into surface and ground water that can end up in drinking water. Fluoride – used in the fluoridation of drinking water may be a chemical by- product that is proven to be a neurotoxin, affecting the brain and nerves. Heavy Metals – are chemicals like lead, mercury, cadmium, and arsenic—all toxic to the human body. Radon – is a naturally occurring radioactive gas that has been linked to cancer, and may be found in drinking water, depending upon the source of the supply. Well water, too, may contain one or more of the following chemicals listed here as well as others not listed. Pesticides – such as Atrazine, one of the most commonly found pesticides in U.S. water, is an endocrine-disrupting chemical. Nitrites – have a greater potential concentration in well water due to surrounding farmlands using nitrite infused fertilizer. Ferrous Iron – is invisible iron in water that may have a metallic taste. Sulfur – in water may produce a “rotten egg” smell. Radon – is a colorless, tasteless, odorless, radioactive gas proven to cause various forms of cancer that may be present in ground water. Maybe you don’t use city or well water as your drinking water supply and choose either to collect natural spring water or purchase bottled water? There are numerous natural spring water sources, but they do come with some potential hazards. People coming to the site over time as well as animals may contaminate those sources. For example, natural springs may contain decaying animals, such as mice, birds, fish, and frogs — and do we know what viruses or bacteria these animals could be carrying? Not to mention what animals might be leaving behind in the water. Also, other chemicals or contaminants may be present in spring water due to surface and ground water run off. And lastly, that spring water has to be collected and stored in something? Most use plastic for this. However, not all plastic is created equal and some plastic is not safe for water storage. You may be thinking, Well, I use bottled water so none of this affects me. All those water bottle labels tout words like: natural spring water, pristine springs, best water on earth, or pure water. Is this really true? 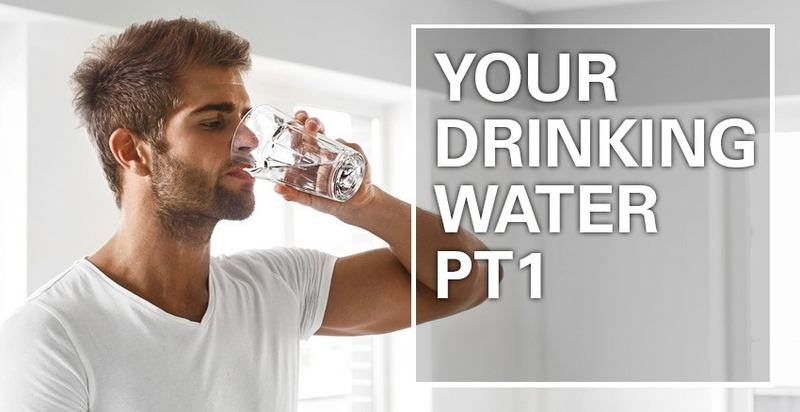 You might be surprised to learn the things not so advertised regarding bottled water in “Part 2 of What’s in your Drinking Water” next month. What do most of us do when we want to know something quick? Google it. The worldwide web is overwhelmingly chock-full of information. There’s a lot to wade through. Temporary fixes are available such as drinking water filters and purifiers of various sorts that can be found at Wal-Mart, hardware stores, Amazon, and so forth, but will these things solve the problem entirely and how much will these Band-aids cost in the long run? Gordon Brothers Water offers customizable solutions to give you the best water on tap. The only way you can possibly know what’s in your water is to have it tested! Call today (330) 337-8754 or (800) 331-7611 toll free to schedule a free in-home water analysis with a water specialist. It’s the perfect time to spring into savings with our 30-day free trial offer of a customized water filtration system, specialized drinking water filters, and water softeners, including free installation into your home or business. If after 30 days you absolutely love it, you can keep it for only $19.99 per month! Or, visit Home Depot and talk with one of our water specialists on site and schedule your appointment in person. For Home Depot locations, dates, and times check our Facebook page www.facebook/gordonbroswater or the website www.gordonbroswater.com. We look forward to meeting you!